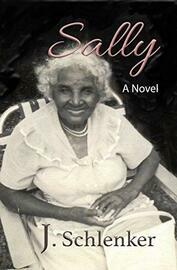 Michelle, a white woman stumbles upon her grandmother’s journals that have lain dormant in the attic for fifty years. There is a picture of her grandmother alongside an African-American woman. It is inscribed: Sally, born into slavery—my ancestor. The journals relating Sally’s story end abruptly. Michelle makes it her mission to find out more about Sally. The quest brings up more questions than answers. Just when she thinks she has come to a dead end, she uncovers the most startling fact of all.